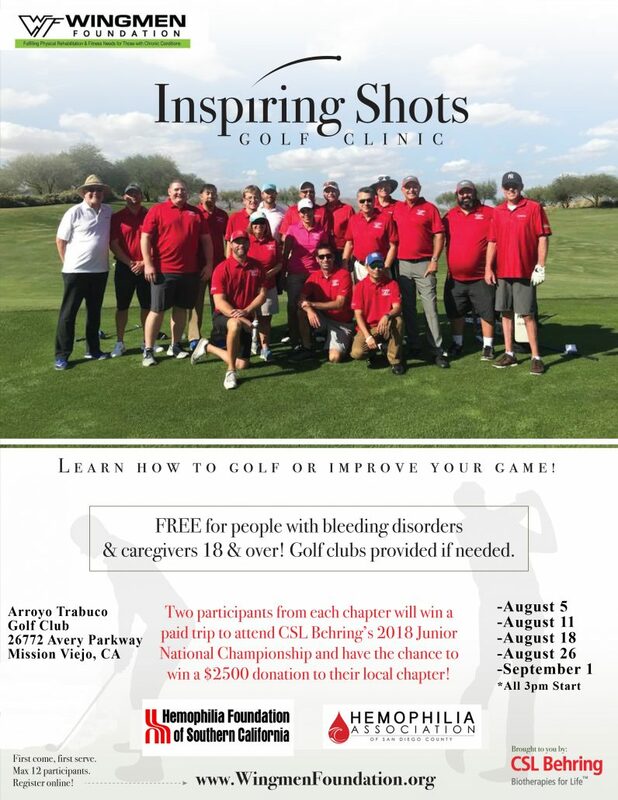 Learn how to golf or improve your golf game! This 4-8 week course is for the beginner to advanced with hands-on golf instruction and a great experience to connect with others. Two participants from each clinic will win a paid trip to the Junior National Championships (JNC) Sept. 27-30 and have the chance to win a $2500 donation for their local chapter! Max 12 participants per clinic, for people with hemophilia and caregivers. Register today!